Lady Gaga and Madonna may not seem very ethnic (except for their Catholic rebellions) but they are among the latest in a long line of pop singers with an Italian heritage. 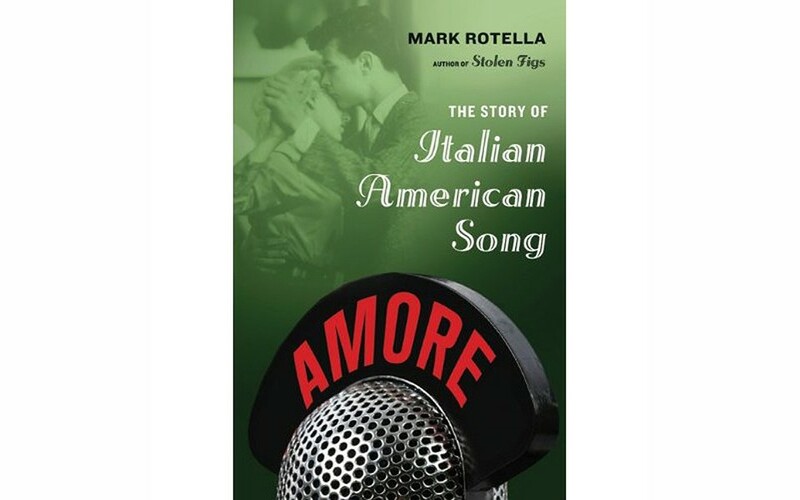 Mark Rotella's chronicle describes the careers of the best known (such as Frank Sinatra, Perry Como, Tony Bennett and Dean Martin) as well as forgotten pioneers (like Louis Prima), but his chapters delineating the influences of Italian song itself are especially fascinating. Rotella writes that Italian singers beginning with Sinatra brought two chief influences: "the bel canto, or beautiful singing, style of 18th-century Italian opera, and the romanticism of Italian...folk songs." The operatic influence was purest in Enrico Caruso, who sang the first song to sell a million records, but it's also there in the decidedly non-Italian Elvis Presley, particularly in both the style and melody of his hit "It's Now or Never," which is essentially a version of a Caruso hit, "O Sole Mio." Versions of actual Italian folk songs were hits in the 1950s, including a lullaby (Como's "Chi-Baba Chi Baba"), a children's tune (Julius LaRosa's mega-selling novelty "Eh Cumpari") and a song danced to at weddings (including in The Godfather) called "Luna Mezza Mare," which Lou Monte transformed into his hit, "Lazy Mary." The Italian influence in American music goes even farther back, to the origins of jazz in New Orleans, when the so-called French Quarter was 80 percent Italian, and Italian band musicians became part of the mix of African, French and American Indian music known as Cajun. Rotella writes that "blacks and whites would perform at New Orleans honky-tonks, many of which were owned by Italians." Among the musicians getting their start in one of these clubs was Louis Armstrong. The early '60s also produced the next generation of crooners, like Frankie Avalon, Bobby Rydell, Connie Francis and Bobby Darin, musical forerunners of Madonna and Lady Gaga. As both a personal tribute to Italian American song and as an informed and needed nudge to historians to take the Italian American role in American music more seriously, this book admirably succeeds.